Niger Delta Communities Join the Campaign against Violence. 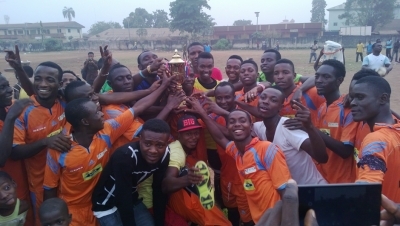 On the 13th and 16th December 2014, LITE-Africa hosted a football for peace competition in Uvwie and Oshimili South LGAs respectively in Delta State. The event is an integral part the Strengthening Youth Engagement in Development (SYED) project which seeks to address youth involvement in violent behaviour by working to enhance youth ability to manage conflict towards ensuring long-term stabiliy and economic development in the Niger Delta. SYED is funded by the US Department of States through Stakeholder Democracy Network (SDN).